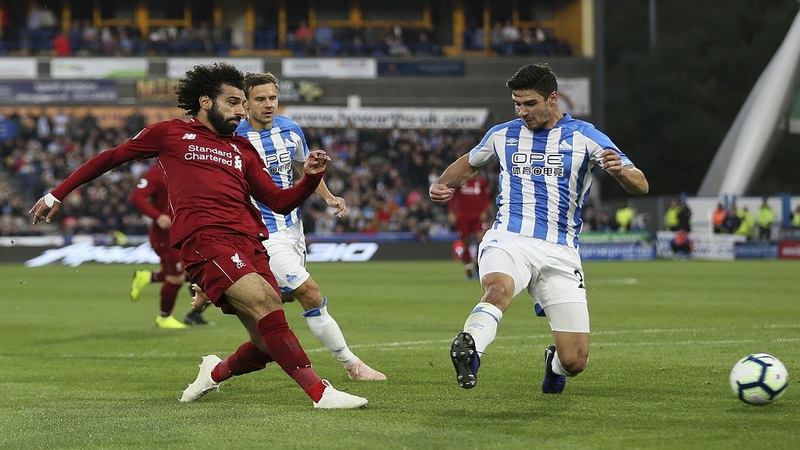 Liverpool's Mohamed Salah (left) scores against Huddersfield Town during their English Premier League football match at the John Smith's Stadium in Huddersfield, England, Saturday, Oct. 20, 2018. Mohamed Salah scored for just the second time since August to earn Liverpool a 1-0 win at Huddersfield in the English Premier League on Saturday. With Salah's fourth goal of the season, Liverpool kept pace with Manchester City in the standings after nine games. City is well ahead on goal difference. 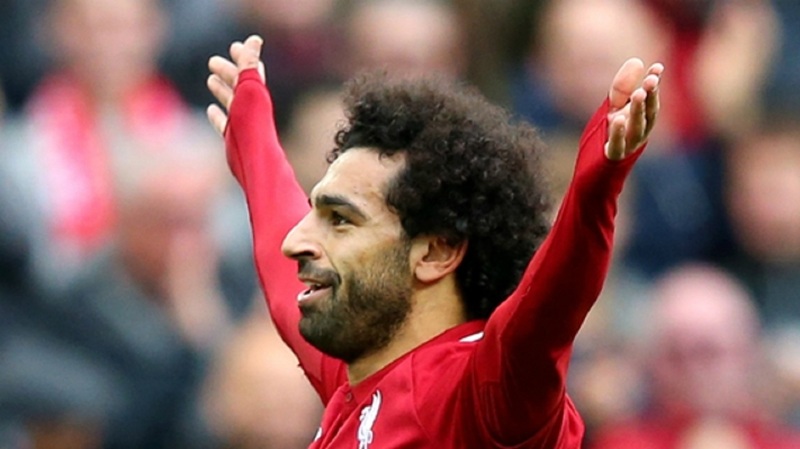 The Egypt forward had the best scoring season of his career in his first year at Liverpool, when he netted 44 in all competitions — 32 coming in the Premier League to leave him as the top scorer. Salah is reverting to the norm this season, with nearly a goal every other game in the league. 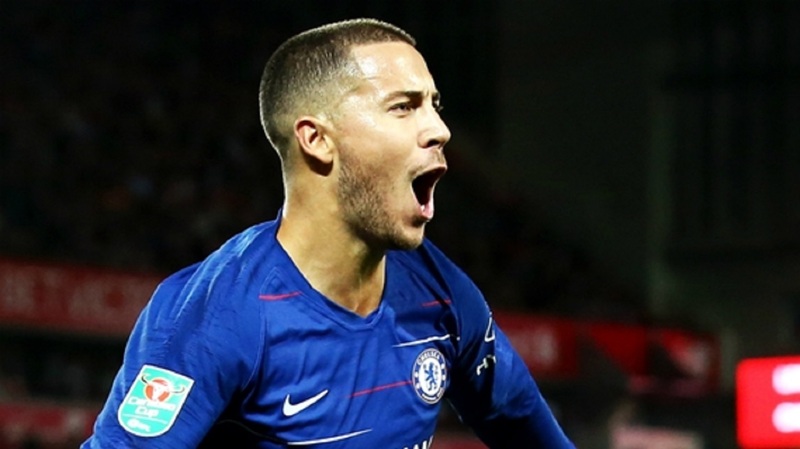 His latest came when he ran onto Xherdan Shaqiri's through-ball and slotted a right-footed finish into the bottom corner in the 24th minute. Liverpool manager Juergen Klopp will be relieved to get through a match that proved to be tougher than many would have anticipated. Huddersfield applied late pressure and missed a great chance to equalize when Steve Mounie blazed over in the final minutes. 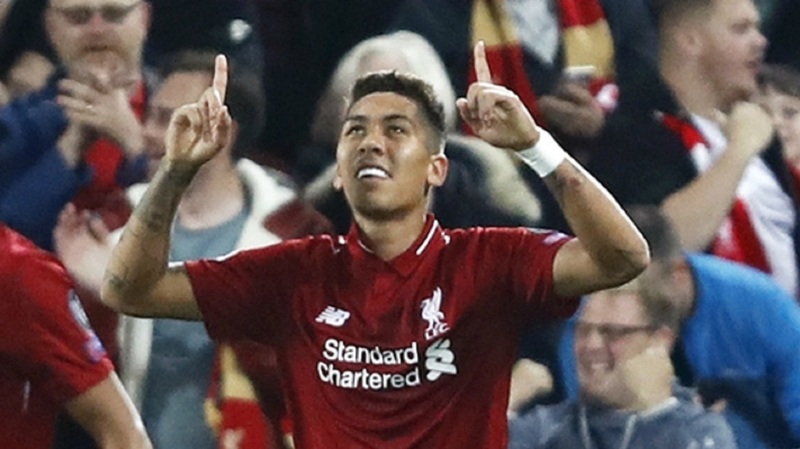 Klopp had to break up his devastating front three of Salah, Roberto Firmino, and Sadio Mane, with the latter injured and Firmino making only the bench after his commitments for Brazil during the international break. It told, with Liverpool lacking its usual fluency in attack. Salah did at least end his worst scoring run for Liverpool — four games.